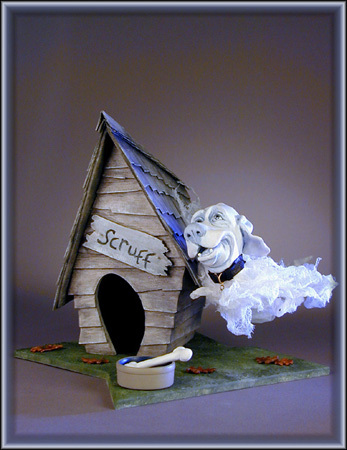 Even Ghostie Dogs Need the comfort of a Dog House. One of a kind ... sculpted in Quality Polymer Clay and hand painted. Dog house all in wood. Bowl and Bone are painted Clay. Stands approx. 6 inches tall.